From up on Pritchard Hill, above the fog line in the Vaca Mountains, east of Napa’s valley floor, Tim Mondavi can tell a story of nearly one hundred years and three generations – now four. Tim’s grandfather, Cesare, an Italian immigrant, first began sourcing grapes in 1919, and made his first wine in Saint Helena in 1933. Ten years later, Cesare and his sons purchased the Charles Krug Winery, and his eldest, Robert, found a home of his own in Oakville in 1966. These family milestones are Napa’s, too. Within a decade of founding Robert Mondavi Winery, Tim’s father stood at the forefront of American winemaking, lending a critical story of family and perseverance to the country’s premier winegrowing region. And after thirty years of working at his father’s eponymous winery, Tim, at 53 – the very age Robert was when founding this Oakville institution – looked toward the hills to continue the Mondavi story. Continuum, as it was so aptly named, would be an enduring celebration of the Mondavis’ commitment to family and the valley alongside which they have been defined. And, like their fabled engagement with To-Kalon, arguably Napa’s most hallowed ground, Continuum would tell a story of place. 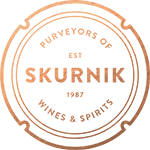 In 2008, Tim, his sister, Marcia, and their father began purchasing the 172 acre vineyard – west-facing, high above the valley at up to 1,600 feet, composed of red, rocky, volcanic and loam soils. About forty acres have been planted to primarily Cabernet Sauvignon and Cabernet Franc, with additional plantings of Petit Verdot and Merlot. Here, above the fog line, summer days are cooler – and winters warmer – than the valley floor, and these low-vigor soils yield perhaps half of the valley’s average bounty. 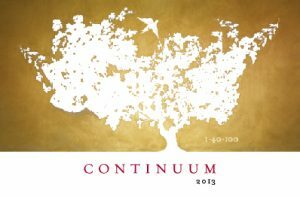 As of the 2013 vintage, the wine of Continuum has been entirely grown, produced, and bottled at the estate. Further, this vintage honored Robert, who would have been 100, and marked Tim’s fortieth vintage of winegrowing in Napa and the world over. And, as promised in its name, the winery has ushered the Mondavis – and Napa – forward with a fourth generation, as Robert and Marcia work together with their children. The 2013 growing season began with a warm dry spring, initiating a three year series of dry weather patterns, and advancing the growing cycle 2-3 weeks ahead of our four-year average. 2013’s early bloom, set and veraison were followed by a moderate summer with no heat spikes. This early phenology carried through to the end of the summer, when we began harvest on September 9th. Harvest was slow and steady until its completion on October 3rd. In total nearly 100 tons were harvested, with vineyard yields under 2 tons an acre. As of the 2013 harvest, Continuum is 100% estate grown, produced and bottled. All fruit was selectively hand-harvested into small lug-boxes, sorted before and after destemming, then gravity fed into French oak tanks or cement tanks for fermentation. After fermentation, all lots were drained, with pomace pressed separately, to 68% new small French oak barrels for malolactic fermentation and aging. The wine was clarified slowly and naturally through the use of traditional settling and racking techniques and bottled without fining or filtration.